On September 8th, 2017, the brothers of Sigma Beta Beta traveled to Turtle Hook Middle School to meet & greet the students while they are on their way to class. 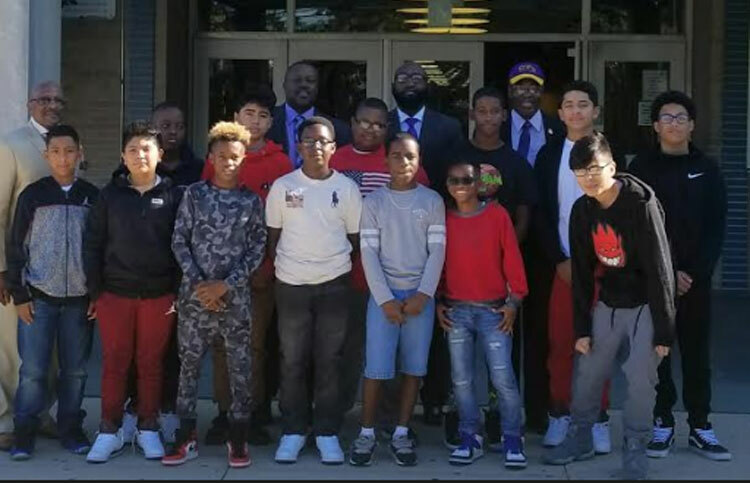 The purpose was for the students to connect a positive black influence with men of the fraternity. Brothers were dressed in a shirt and tie and able to leave a lasting impression on the students. As a new initiative by chapter hospitality committee, the brothers of Sigma Beta Beta met in September 2017 at a local establishment to enjoy food, comradery and brotherly love. The purpose is for older and newer brothers of the chapter to interact.